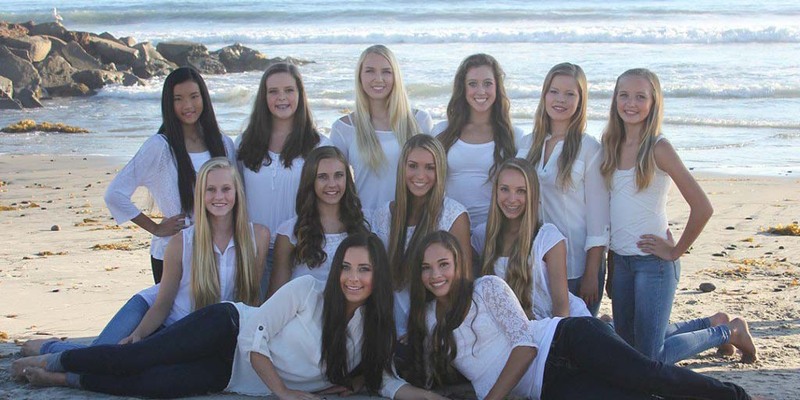 CARLSBAD — The Carlsbad High School Lancer Dancers can be seen at citywide events spreading cheer in the form of dance. Along with attending local events, the team has also set high academic goals. Their Varsity team just achieved a 4.02 grade point average. The all-girl team was able to get the average above 4.0 because of weighted advanced placement courses. Lancer Dancer Coach Laura Nares said the dancers set the goals at the beginning of the year. There is a minimum requirement GPA of 2.0 to participate in the program. Nares said they signed a contract to receive at least a 3.0 GPA. The students practice 12 hours a week at school and most do an additional seven to 10 hours per week at local dance studios. The practice paid off in nationals. They placed second in the nation in the jazz category at the USA Nationals in Anaheim and fourth in the hip-hop category at UDA Nationals in Orlando, Fla. They also host a Junior Lancer Dancer dance camp in August for kids between the ages of 5 and 14 years old. The camp runs from 9 a.m. to noon Aug. 4 through Aug. 7 and costs $125. The proceeds fund the Lancer Dancer program.